Our favourite members of the Royal Family have gone on their first family holiday together - on a skiing break in the French Alps. While not giving away their exact locations (so they can enjoy their holiday without paps of course), the family look like they're having the best time as they play in the snow. 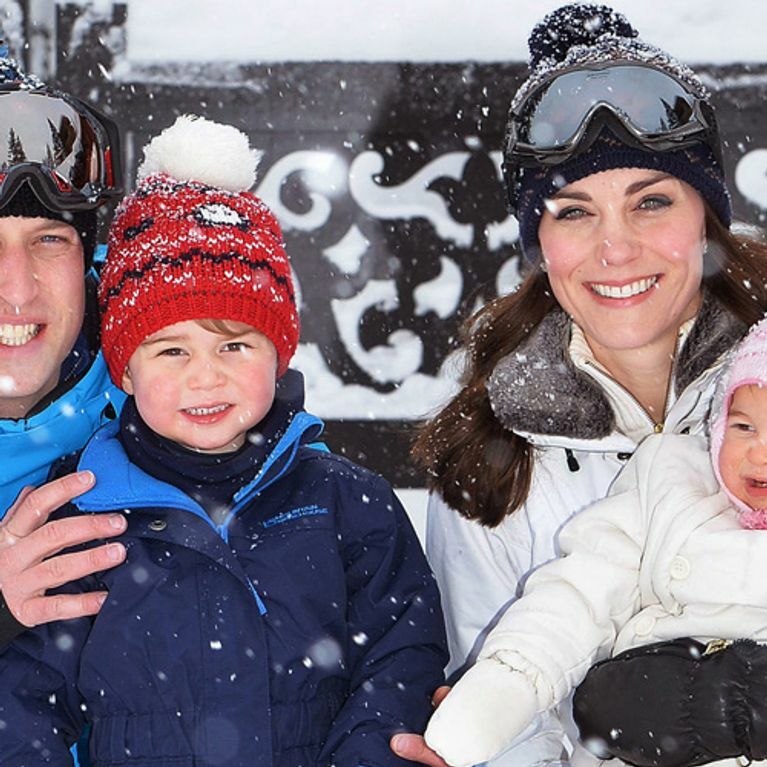 Also, can we talk about how CUTE Princess Charlotte is in her snowsuit please?! We already knew Prince George and Princess Charlotte were total cuties, but it doesn't make it any less adorable when we catch new glimpses of the future rules of us all all bundled up in snowsuits and bobble hats! Clearly enjoying the snow, the family all smile together while sat in the snow and rocking some serious cool skiing gear. They didn't even have to photoshop Princess Charlotte's face! ​Just a thought - does anyone else think Queen Elizabeth II might have knitted George's hat? We can dream can't we?! The new pictures of our favourite little Royal family showed the family playing in the snow - well they actually show Kate and Will playing in the snow while we assume the kids look on solemnly. How adorable are these pictures, right? Tweet us @sofeminineUK!